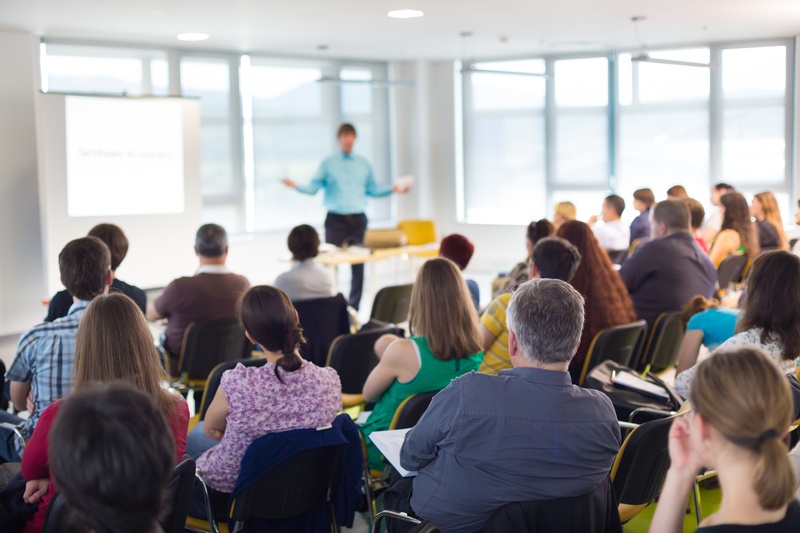 The FAIR Institute is proud to partner with colleges, universities, and professional training organizations that offer academic and training courses that teach FAIR to their students, including the FAIR Analysis Fundamentals training course. Our goal in working with these programs is to empower and build the next generation of cybersecurity executives while also assisting current CISOs and business executives in developing best information risk management practices for the 21st century. If you are interested in learning more about the FAIR University Curriculum and becoming an Education Partner, click the button below and contact us for more information. Carnegie Mellon University - Software Engineering Institute, The CERT Division - CERT experts are a diverse group of researchers, software engineers, security analysts, and digital intelligence specialists working together to research security vulnerabilities in software products, contribute to long-term changes in networked systems, and develop cutting-edge information and training to improve the practice of cybersecurity. Boston College - M.S. in Cybersecurity Policy and Governance - With an emphasis on leadership, critical thinking, analytic problem solving, and communication skills, our M.S. in Cybersecurity Policy and Governance program prepares professionals to meet and respond to the challenges of today’s cyber ecosystem. 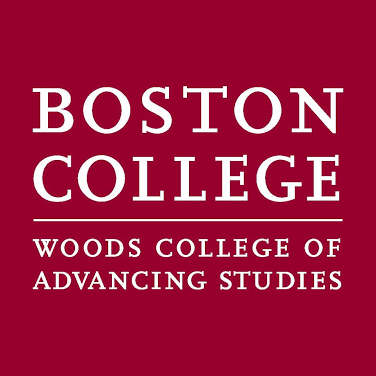 A 10-course degree program, Boston College’s Master of Science (M.S.) in Cybersecurity Policy and Governance teaches you to help organizations protect their data, identify and manage cyber risk, and recover from cyber attacks. San Jose State University - The Integrated Professional-Academic Learning Program in the Economics Department teaches FAIR in order to provide students with the opportunity to develop market-based skills that employers demand. Students coming out of this program have found jobs in the risk analysis field, gone on to graduate study programs around the world, and engaged other students as economics lecturers. UMass Amherst - Information Risk Management - This course reviews assessing, measuring, and managing information risk in today's organizations. In this course, we will review the most contemporary literature as it is still developing on this topic as well as engage students in case studies that will allow them to make connections between the academic literature and actual practice. Marymount University - MS Cybersecurity - Marymount University is designated as a National Center for Academic Excellence for Cyber Defense by the National Security Agency and the Department of Homeland Security. Marymount’s Cybersecurity program prepares individuals for high-level positions in the technology and management of cybersecurity. George Mason University - Executive and Professional Education offer the Essentials of Factor Analysis of Information Risk (FAIR) Course. The course will show students how to use the FAIR model to deliver financially derived results tailored for enterprise cyber risk management. It covers key areas such as risk theory, risk calculation, scenario modeling, and communicating risk within the organization. Virginia Tech - Pamplin College of Business, Business Information Technology - The Department of Business Information Technology (BIT) offers an undergraduate major designed to provide our students with expertise in the development and use of computer systems and quantitative modeling techniques for solving business problems and making managerial decisions. Arizona State University - Risk Communications in Information Security (InfoSec) - Through this course, you will learn how risk management is a fundamental function of information security, how to communicate its importance to a client organization, how to determine what metrics are most important to individual organizations, and use real-life case studies. University of Tampa - Master of Science in Cybersecurity, Sykes College of Business - UT's Master of Science in Cybersecurity prepares students for careers in the dynamic cybersecurity industry. Rapid technology changes and the evolving threats that face modern organizations require educated and equipped cybersecurity professionals. University of Toronto - Rotman School of Management - The Rotman School of Management offers multiple cyber security and operational risk course as part of their MBA courses. Rotman offers a range of MBA programs, both at the full-time and executive levels and joint degrees in partnership with other programs and schools across the university. Georgia Southern University - The Center for Applied Cyber Education (CACE), based at the Armstrong campus in Savannah, is an interdisciplinary center and a leader in cyber education and training. CACE is dedicated to supporting interdisciplinary cyber education that affords student access to curriculum, programs, and industry partnerships that impart the skills and concepts applicable to 21st-century cyber workforce needs. Pepperdine University - Cyber Risk Professional Certificate Program - Regardless of industry or technical background, the Cyber Risk Professional (CyRP) Certificate Program will prepare business leaders to effectively identify, evaluate, prepare for and mitigate cyber security threats. CyRP is designed and taught by an interdisciplinary board of CISOs, executives, and business thought leaders in either a fully online or hybrid format. Washington University in St. Louis - Master's of Cybersecurity Management - The Master's of Cybersecurity Management at Washington University in St. Louis provides students with the knowledge needed to protect, defend, respond and recover from cyber threats. This program was developed with one critical goal: educate professionals on how to manage the people and resources who perform these tasks and to lead the cybersecurity function in organizations. Webster University - Master of Science in Cybersecurity - A MS in Cybersecurity prepares students and professionals for demanding positions in public and private sectors overseeing many essential security departments. Webster University students who complete graduate degree program are able to effectively propose solutions to securing cyber networks and ensure online security. Macquarie University - Optus Macquarie University Cyber Security Hub - The Optus Macquarie University Cyber Security Hub forms a network of academic, business and government leaders to provide expertise and leadership, offer a platform for exchange between academics and practitioners, conduct cross-cutting research across several disciplines, and train the next generation of cybersecurity specialists. Seattle Pacific University - Master of Science in Information Systems - The MS-ISM program enables graduates to provide leadership in managing information systems and technology using analytics and other tools in business, government, and civil society. The MS-IS program at Seattle Pacific University develops leaders with the management, technology, and problem-solving skills they need to handle complex, globally integrated systems. 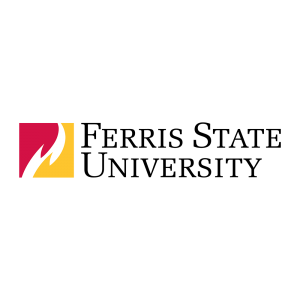 Ferris State University - MS in Information Security and Intelligence - This program prepares students for careers in business intelligence, proactive and reactive incident response, and project management utilizing secure practices. The Information Security and Intelligence program is accredited by the National Security Agency as a Center of Excellence in Information Assurance, one of only six programs in the country to achieve this standard. RiskLens - FAIR Analysis Fundamentals Training - FAIR Analysis Fundamentals training from RiskLens provides the conceptual foundation and practical experience necessary to competently perform FAIR analyses. Whether online or in-person, RiskLens' FAIR training courses (accredited by the Open Group) are led by experienced practitioners and will improve participants' abilities to identify, measure, and communicate risk. SANS Institute - Measuring and Managing Cyber Risk Using FAIR - The SANS Baltimore Fall 2018 (September 10-15), and learn vital skills to protect your organization from the latest cyber-attacks. SANS helps you stay ahead of the curve by providing unique, hands-on immersion training you can implement the day you return to work. CyberVista - Resolve: Board and Executive Cybersecurity Training - The Digital Risk training from CyberVista is available both on-site and on-demand. The course focuses on executive and board-based seminars to provide the knowledge necessary to understand, monitor, and manage cyber risk. Their framework guides an interactive and tailored dialogue that results in leadership articulating the most critical aspects of their business. George Mason University - Executive and Professional Education offer the Essentials of Factor Analysis of Information Risk (FAIR) Course. The course will show students how to use the FAIR model to deliver financially derived results tailored for enterprise cyber risk management. It covers key areas such as risk theory, risk calculation, scenario modeling, and communicating risk within the organization. This course is designed for anyone interested in cyber risk quantification, but is specifically beneficial to C-Suite level personnel (CEO, CFO, CIO, CISO), project managers, risk analysts, and business process owners.